In 2012 the Associated Press ran a news article headlined “Some illegal immigrants can get Georgia drivers licenses” explaining Georgia’s California-like situation. 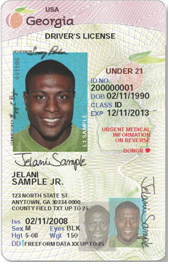 But, if you call your local DDS office, you will be told in - no uncertain terms - that “Georgia does not issue drivers licenses or ID Cards to illegal or undocumented immigrants.” Confusing, isn’t it? Many Georgia legislators think DDS should try harder to explain this scenario and how it is that DDS is issuing driver’s licenses to illegals. Georgia has the choice to issue a driver’s license to those with deferred action that will still allow them to drive, but that does not fit the federal requirements to be used as “ID for federal purposes” – like boarding an airliner or entering a federal building. And we can – and I firmly believe we must - change the appearance of these credentials so that no one will mistake the holder for a legal immigrant or a legitimate guest worker here on a legal temporary visa. Jeff Jones (R) D167, is a second term Georgia State Representative. Rep. Jones may be reached at: jeff.jones@house.ga.gov; 404-565-0177.